Stephanie Barbour is an Executive Coach and Leadership Consultant with 15 years coaching experience who specializes in developing powerful executive presence, influence and engagement skills in senior leaders. Her clients become confident and courageous change agents who negotiate difficult relationships, secure stakeholder support and build teams that deliver. Over 80% of Stephanie’s clients receive promotions or take higher level positions while coaching with her and she coaches clients in a wide variety of global and domestic organizations. Stephanie’s coaching is informed by 25 years of hands-on business experience including roles leading acquisition teams, managing HR enterprise initiatives, and designing three transformative cultural changes. As a leader she is known for turning difficult situations into collaborative wins and merging conflicted cultures. 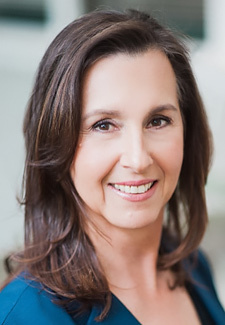 She has held positions as the VP of Programs for the Board of PCMA (Professional Coaches, Mentors, and Advisors Association) and was the founding Bay Area Chapter Leader for the global NeuroLeadership Institute.